Bollywood actress Sonam Kapoor is all set to come back on silver screen with the most challenging role of a lesbian girl. 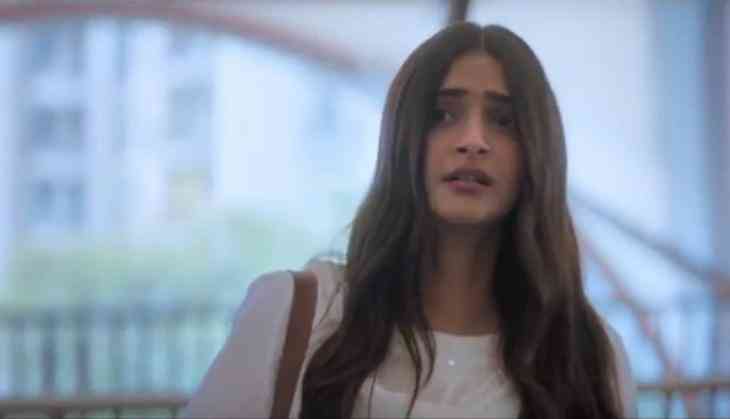 The trailer of her next film 'Ek Ladki Ko Dekha Toh Aisa Laga' has already made a buzz and in the trailer, the audience loved the title track sung by Darshan Raval. It is known that Ek Ladki Ko Dekha Toh Aisa Laga is actually the song from 1942 - A Love Story starring Anil Kapoor and Manisha Koirala directed by Vidhu Vinod Chopra. The song sang by Kumar Sanu is still the most loved romantic song ever. Now once again the song is back and this time the new sensation singer Darshan Raval famous for singing songs like Chogada in Loveyatri has sung the new version. However, earlier the song was picturized on Anil Kapoor and Manisha Koirala but this time Anil's daughter Sonam Kapoor is the leading lady of the song. The song also has Rajkummar Rao trying to romance with Sonam Kapoor. The film Ek Ladki Ko Dekha Toh Aisa Laga is slated to release on 1st February 2019.